This brand new system of fares will come into force in 8 weeks using the Metropolitan Consortium of Transport card and will be operative only in the municipal area of Granada. Granada is the only andalusian with free transfer between Light Rail and urban buses. 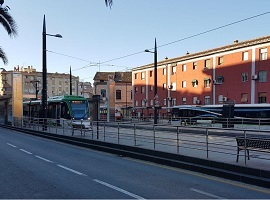 Granada has made a step forward in the stablishment of an integrated and unified public transport system thanks to the implementation of free transfers between Light Rail and urban buses. The City Council of Granada, after the agreement made with Junta de Andalucía that grants an extraordinary financial contribution of 800.000 euros, become the first one in Andalusia to allocate this financial reward to pay these transfers. 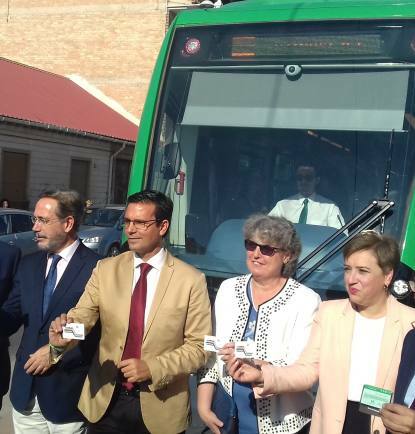 The Council of Mobility and Citizen´s Protection, Entrepreneurship, Tourism and Trade in the city of Granada, Raquel Ruz, after the approval of the agreement in the Local Government Board, has explained that this new payment system will be effective in the municipal area of Granada using the Metropolitan Consortium of Transport card. As she has informed, new fare system will come into force within 8 weeks, because, as Ruz Peis said, now is neccessary to make changes in the ticketing validation system. Also remembered that this measure means a step forward to the implementation of a unified and integrated model of transport against a chaotic and wasteful system implemented with the previous government, Ruz has remarked that free transfer will be effective only when ticket is validated in the municipal area of Granada. On his part, the spokesman of government and Finance, Procurement, Organization and Smart City council in the City Council of Granada, Baldomero Oliver, has pointed out that this government board fulfils its commitments with citizenship, and also has aknowledged that it is demanding agreement, due to its complexity, but it made the final endorsement to a model of substainable mobility.